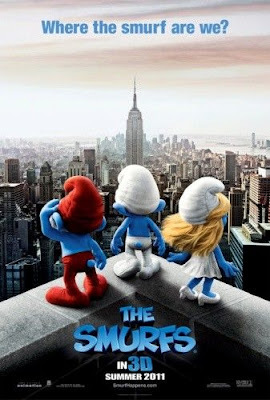 Reel Talk Online: First Look: "The Smurfs"
I just recently saw the trailer, and I had no idea what to think. To me, it looked like a smurfs meet the real world type of film. Something is telling me this film may not be as close to the cartoon and its storyline. And, there was no mention of "Gargamel." It's going to be interesting to see how this one pans out, thanks for sharing! This is exactly the kind of trailer that make me fear for the worst. I can't say I'm looking forward to this but hopefully I'm proven wrong.